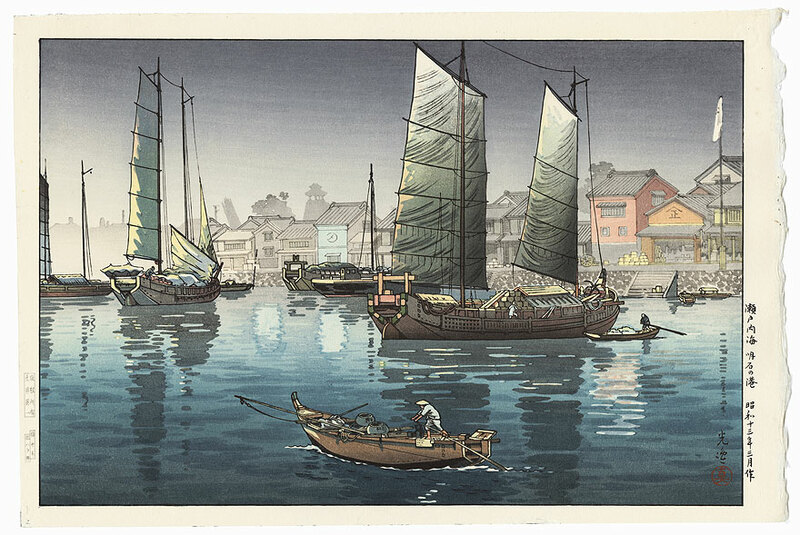 Comments - A handsome Koitsu design of the fishing port Akashi in the early evening. 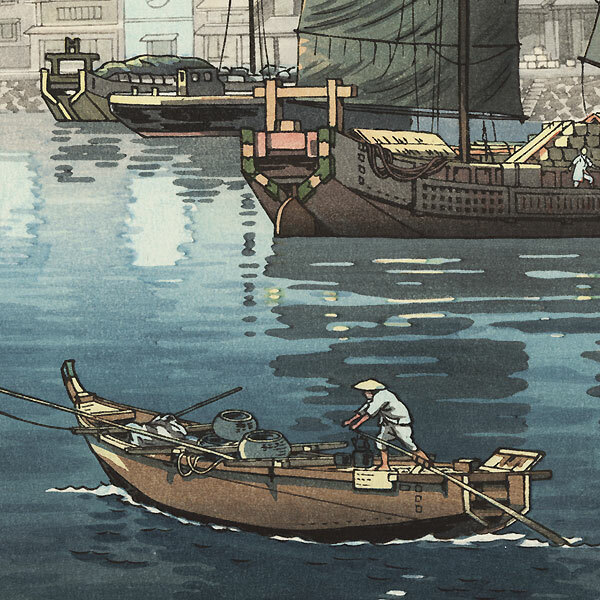 The shimmering reflections in the water are beautifully rendered. 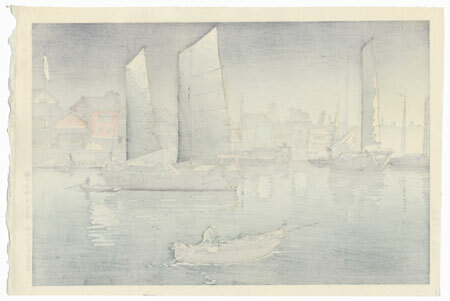 Lovely muted color palette with soft shading in the sky and water.